So I finally got around to testing out one of the new Ice Neon polishes from Models Own and here’s my verdict. I know the concept of this polish is to keep it in the fridge so it’s apparently more vibrant but I forgot and stored it in my nail polish caddy, oops! But to be honest after other reviews I have red, I don’t think it will make much difference. I may pop it in the fridge and give it another go next week/when it starts to chip. The colour is great, a super vibrant pink with slight orange tone. I didn’t think it would suit my pale skin-tone but I really like this colour, we all know I’m a fan of darker nails so this is a rarity! My only concern is that the polish is quite thin, I applied two coats and still could see the whites of my nail tips. I don’t know if this is because I didn’t refrigerate them but this is rare for Models Own polishes to be thin when applied. The finish on this product is a slight matte effect. Which is lovely! However, I always apply a top coat so I recommend if you still want the Matte effect to apply Models Own Pro Matte Top Coat. I will do a review of the Matte Top Coat at a later date as it’s one of my favourites! Pink Punch and the rest of the Ice Neon Collection are available from Boots, Modelsownit.com and Models Own Bottleshop. Have you tried the new Ice Neon collection? What do you think of the vibrancy and you keep yours refrigerated? You can tell it's slightly brighter then my original pink punch. 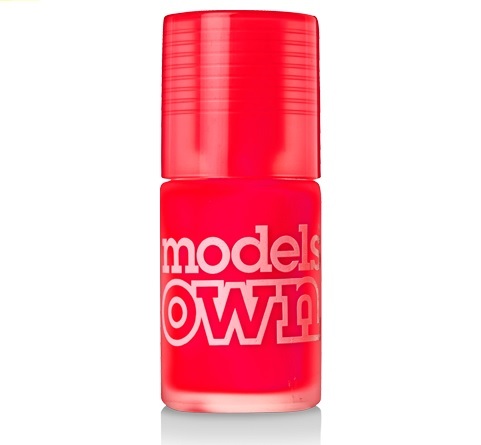 You can see it here http://sparkledust-beautyuk.blogspot.co.uk/2013/01/models-own-nail-polish-1-5.html if you want to compare. Very pretty i love the shade. Oh yeah, I definitely see the difference now! Such a lovely summer colour!